Belarus is an Eastern European country blessed with a rich cultural heritage and a scenic landscape, but its people are subject to some of the most repressive drug policies on the continent. The country is ruled by President Alexander Lukashenko, the only president the country has ever had, who is known among critics as "Europe's last dictator". Lukashenko’s iron fist approach towards drug offences has been criticised by human rights advocates for perpetuating the persecution, incarceration, and humiliation of thousands of people. Media reports suggest that as many as 4,000 people are convicted of drug offences each year, with many detainees claiming to have experienced some form of violence, intimidation, or psychological harassment at the hands of law enforcement. Such harms have been particularly acute for Belarusian women, according to a 2015 report by the Eurasian Harm Reduction Network. Women who use drugs in the country have accused police and other state actors of participating in sexual abuse, violence, forced recruitment as informants, forced false testimonies, extortion, and groundless detention, as well as refusing to provide a lawyer. Belarusian drug laws do not make a distinction between different drug classes, and prosecutors often push for people found possessing drugs to be charged with trafficking. Local media reports describe individuals caught with a few grams of cannabis being sentenced to between five and eight years in prison, despite claiming that the drug was for personal use. Once incarcerated, people convicted of drug offences are singled out among their fellow detainees by being forced to wear distinctive clothing, and are allocated only meagre provisions while being forced to work in prison camps. Following their eventual release from prison, people convicted of drug offences will have their details entered into the national Narcological Register – meaning they will be closely monitored by authorities for several years. This harsh approach by police and prosecutors contributes to a culture of fear and mistrust of people who use drugs among wider society. In turn, people who use drugs become less likely to seek help or advice due to their fear of being criminalised or marginalised, thereby exacerbating the potential harms of drug use. Belarus' drug war shows no sign of slowing down. In 2014, Lukashenko spearheaded legislation that harshened criminal penalties for drug offences, and lowered the criminal age of responsibility for manufacturing and selling drugs to 14. 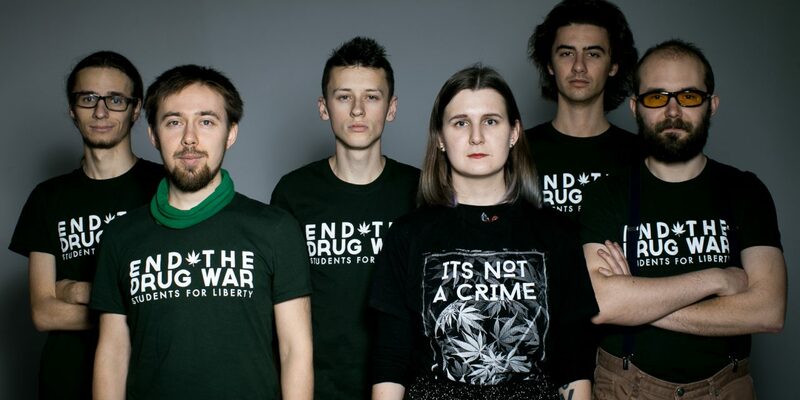 Nonetheless, in spite of this ongoing repression, Belarus is home to small but determined groups fighting for more common-sense approaches to drug laws, and advocating for the humane treatment of people who use drugs. Larisa Zhigar, the founder of the Mothers 328 Movement organisation, has called on the state to reform criminal penalties so that punishments are proportionate and commensurate with the offences committed. Zhigar, whose son was sentenced to eight years in prison for a non-violent drug offence, has also stated that the law must clearly distinguish between possessing drugs for personal use and trafficking – so that people found possessing small quantities are not routinely charged with selling. This mainly parent-led movement has been instrumental in raising awareness of the treatment of prisoners and the inherent injustices in Belarus’ judicial system. Another important group actively providing accurate drug information to the public and campaigning for legislative reform is the civic campaign Legalize Belarus. This organisation calls on the state to differentiate between varying quantities of drugs and to abolish the criminalisation of people for possessing or trafficking small amounts. One of the group’s members, Piotr Markielaŭ, told TalkingDrugs that most of the 15,000 Belarusians imprisoned for drug crimes are young people who were found in possession of small quantities of controlled substances – many of whom were found with just cannabis. Despite strict laws on public demonstrations, Legalize Belarus organised a rally in December 2017 to raise awareness about the ineffectiveness of the war on drugs and the need to change attitude towards drugs and those who consume them. 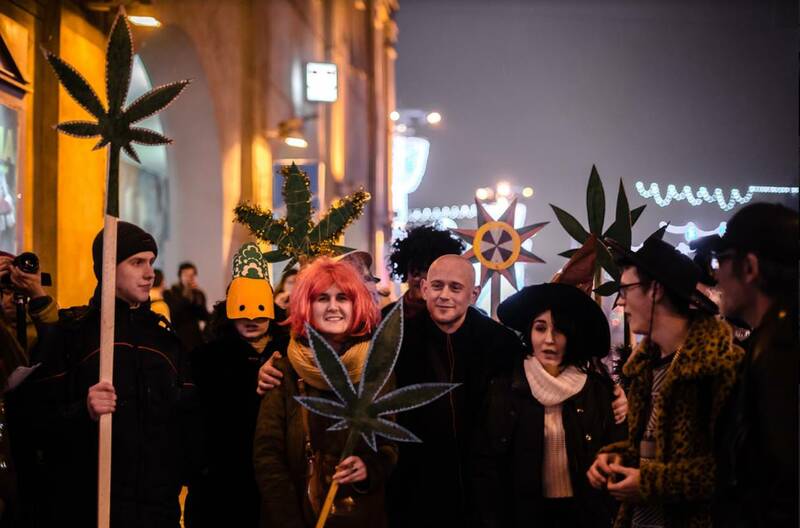 Members of the group carried “cannabis stars” when engaging with the public, in reference to the Belarusian cultural tradition of Kaliada, whereby people dress up as magical creatures and sing songs in the street while carrying Kaliada stars. While the Belarusian regime continues to sustain a repressive and draconian approach towards people who use drugs, bright beacons of hope such as the Mothers 328 Movement and Legalize Belarus provide the Belarusian society with a solid network of dedicated and committed individuals focused on promoting drug policies rooted in evidence. There remains much to be done to further human rights in Europe’s last dictatorship.